Welcome to RymdResa my friends! 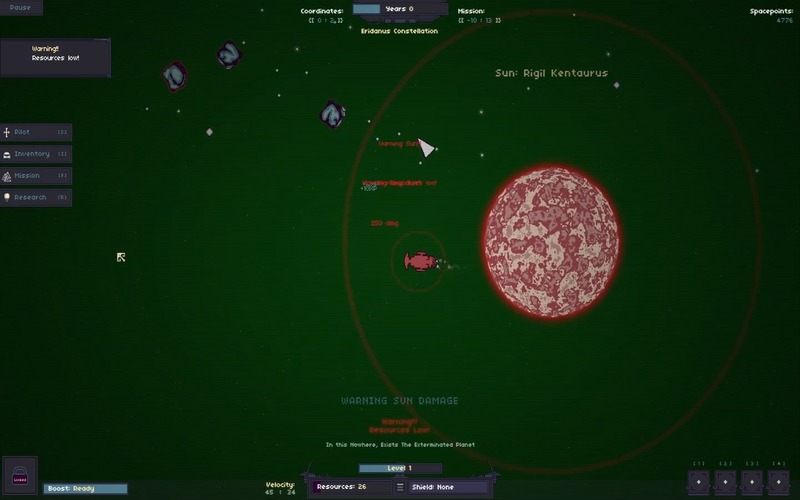 RymdResa is a dynamic space opera that focuses on exploration, discovery, resource gathering and survival. And it does all this without combat, but that doesn’t mean space isn’t dangerous, it’s SUPER dangerous. In this first entry, I die a lot at first just by running into things, but eventually I get the hang of the controls and get pretty far, leveling up my pilot a few times in the process and finding some neat items. This is something really beautiful here.